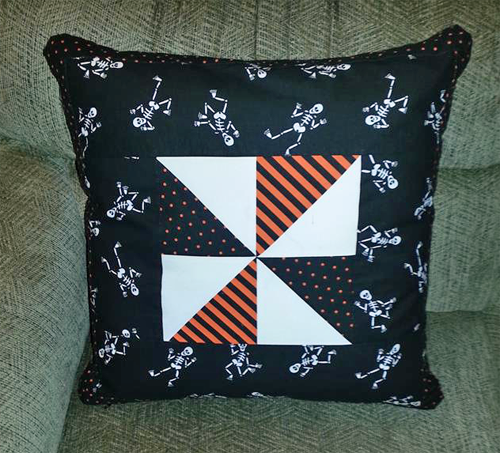 Betty Stoltenburg’s Halloween pillows are adorable! And a big hit at The Sewing Room in Beaverton, Oregon. They’d make a BOO-tiful addition to my Halloween home décor! 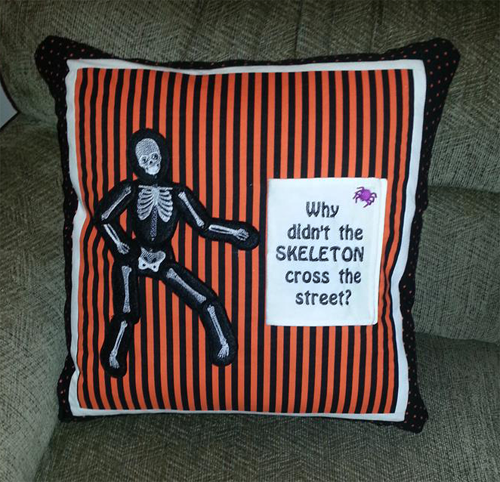 The set of two pillows – question (above) and answer (below) – feature embroidered and appliqued bones, with a simple patchwork block on the back. Or is it the front? An invisible zipper along one edge eliminates the need for a visible opening, so either side can be the front, depending on your mood. Don’t let the zipper scare you; it’s easy to insert using BERNINA’s Invisible Zipper Foot #35. 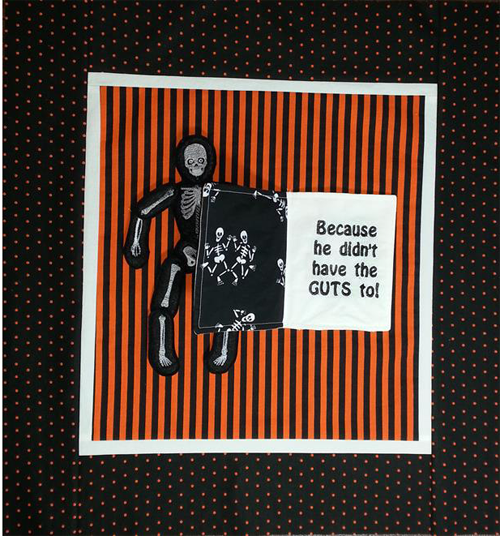 Embroidery designs are from OESD’s Stitch ‘N’ Turn Spooks collection #12481, resized to fit the 18″ pillow form. Have you solved the riddle yet? Scroll down for the answer.